Today I introduce you to “Egg and Ham Fried Rice”. My mother sometimes cooked various kinds of fried rice for us for weekend brunch because it is very quick, delicious and healthy. It takes 15 minutes if you have leftover steamed rice in your refrigerator. In this recipe, I used egg and turkey ham so it has great protein and carbohydrate. I recommend you eat this with salad and/or vegetable soup so that your meal has a perfect balance of nutrition. Plus when you sprinkle with some minced parsley for final presentation, the dish becomes a very spring like colorful dish!! You can adjust the ingredients as you want. For example, you can add some carrot, cabbage and/or onion. You can use any kind of meat. Or you can make egg fried rice using just egg and rice! Fried rice ingredients are very flexible so you can make any kind of fried rice depending on what you want or what you have in your refrigerator. Cook the seasoned beaten egg. Add rice and turkey ham. Stir-fry and season with salt and pepper. Categories: fried rice, Rice, Uncategorized | Tags: beauty, cooking, fitness, Food blog, fusion food, Healthy, Recipes | Permalink. Today I introduce you to Ham and Cabbage Spaghetti. 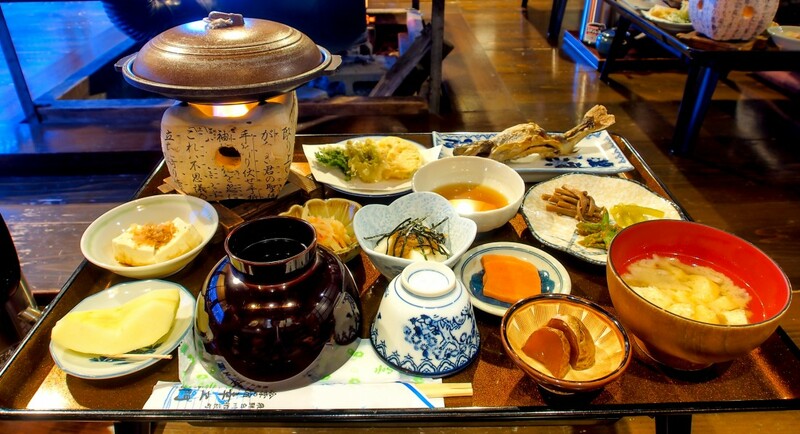 This is very popular dish in spring in Japan. I always cook this for my quick lunch but it is great for dinner too! The seasonings are just pepper and garlic powder so the dish is non-fatty and very delicious!! Cabbage is a very nutritious vegetable. It has high in vitamin C, calcium, potassium, vitamin K and vitamin U. Vitamin U restores the mucosa in our digestive organs. Some stomach medicines contain vitamin U. Vitamin U tends to break down when the cabbage is cooked so eating raw cabbage works well for your stomach. When you boil pasta, do you use salt? I suggest to use right amount of salt for boiling pasta. We should boil a decent amount of water in a stockpot to keep pasta from sticking together and I usually add 4 Tbsp. of salt per 2 litter (1/2 gallon) water. The reasons for adding salt to the water for cooking pasta is to make the water boil at a higher temperature, to cook pasta to al dente easily and to add a subtle touch to pasta. Pasta is cooked more evenly at a high boiling temperature and has great slightly salty taste. The surface of the pasta soaks up the salt water and becomes softer than the core of the pasta. This makes pasta al dente. If you add less salt, you can’t expect these results. In this recipe the pasta is already savory so I don’t use salt when I toss it with the other ingredients. Lately I read an interesting article about pasta. When we cook pasta too much, the pasta becomes indigestible food. This is because of the interrelationship between gluten and starch in pasta. When you cook pasta al dente, the pasta is good for digestion. When pasta is cooked too long, the starch drains away and the interrelationship is broken down. The pasta has only gluten which is hard for us to digest. If you prefer to eat soft boiled pasta because it looks easy to digest, you might want to reconsider that approach. Cook pasta and add cabbage at the last minute when you are finishing cooking the pasta. In a pan, cook ham (I used turkey ham), the pasta and cabbage and season with pepper, garlic powder and cooking pasta water. Sprinkle some chili powder to taste. Categories: Pasta, Spaghetti, Uncategorized | Tags: beauty, Cabbage, cooking, easy recipes, fitness, Food blog, fusion food, Healthy, Pasta, quick recipe, Recipes | Permalink.